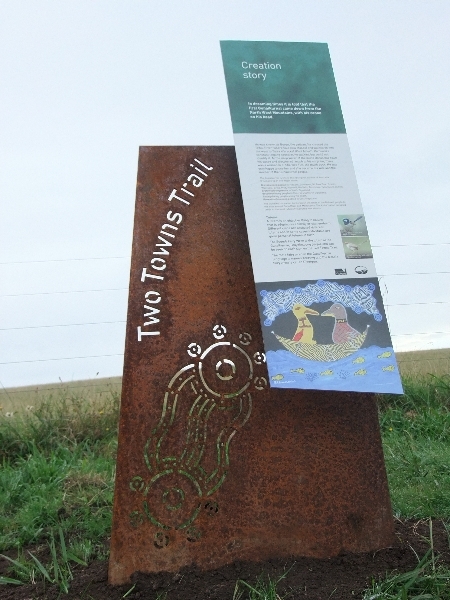 The Two Towns Trail is an 8km walking and cycling path linking two West Gippsland towns, Drouin and Warragul. Interpretive signage, views of surrounding hills and valleys. 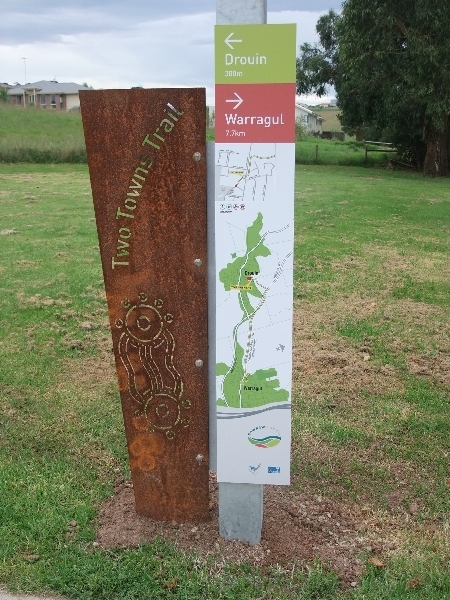 The trail travels between Civic Park in Drouin and Rotary Park in Warragul. Civic Park in Drouin is on the northern side of the town's commercial centre just off McCay Drive and is set in a small valley, with a pond, rotunda and recreational facilities. 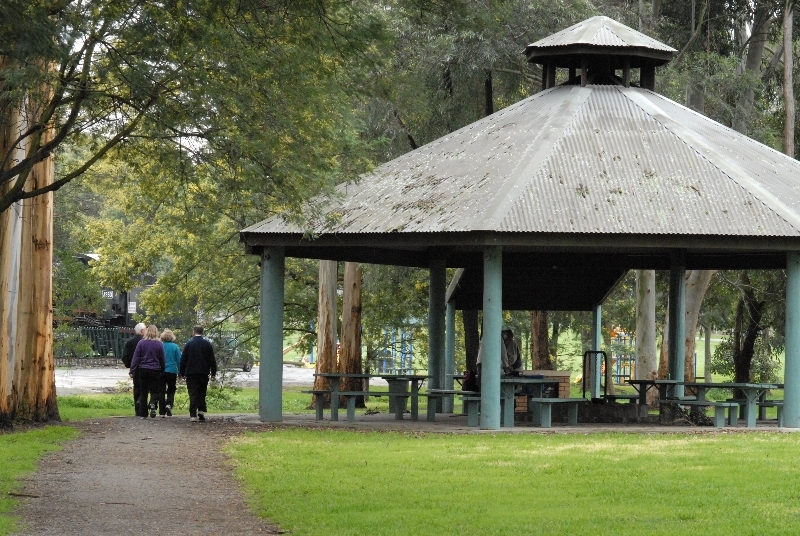 Rotary Park is located on Latrobe Street in Warragul where you will find Hazel Creek and picnic facilities. The majority of the trail is a 3 metre-wide concrete path. 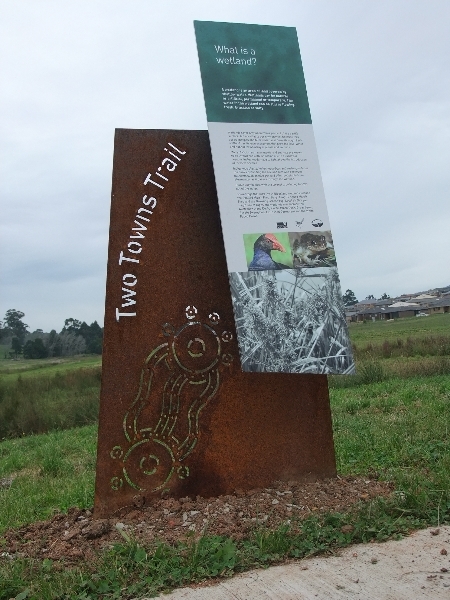 Features of the trail include wetlands, interpretive signage, pause places with chairs and bike racks, remnant stands of vegetation, boardwalks, views to Camp Hill and the Baw Baw ranges to the north and Mt Worth and the Strzelecki Ranges to the south. Please take care where the trail crosses roads at Hopetoun Road, Buln Buln Road, Beverley Street, Lardner's Track, Tarwin Street and Latrobe Street. 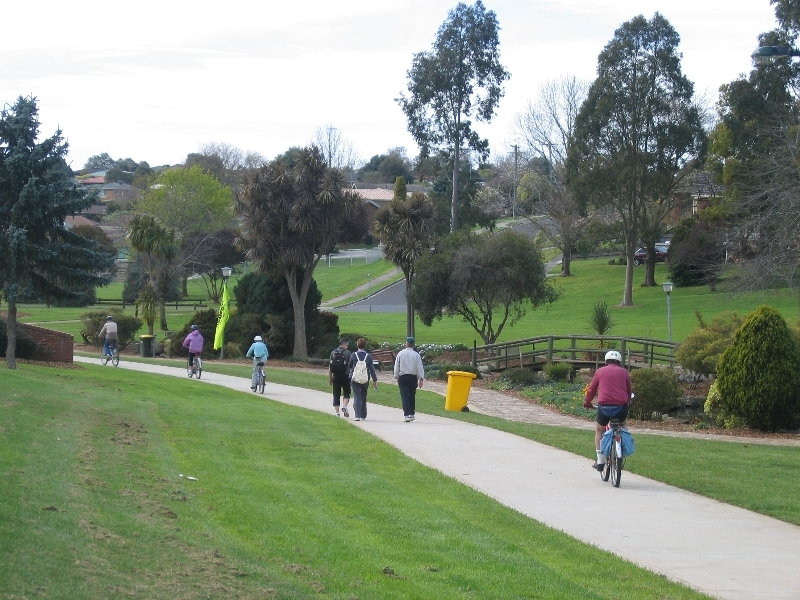 Car parking and toilet facilities are available at the start and end of the trail at Civic Park in Drouin and Rotary Park in Latrobe Street, Warragul. V/Line operate daily passenger train services on the Melbourne - Traralgon and Melbourne - Bairnsdale lines from the Drouin and Warragul train stations. The Drouin train station features a Park and Ride facility with parking for 160 cars. The Gunai Kurnai people are the traditional owners of the land. European settlement coincided with the establishment of the Gippsland railway from Melbourne to Sale during the late 1870s. Throughout the 1880s, a number of small sawmills operated in the district. As land was cleared, dairy farming became the main industry. Today, this area is still noted for dairy farming and has developed other niche agriculture such as gourmet food. Can you hear the peace and quiet? This stretch is great for spotting birds and listening to their songs. 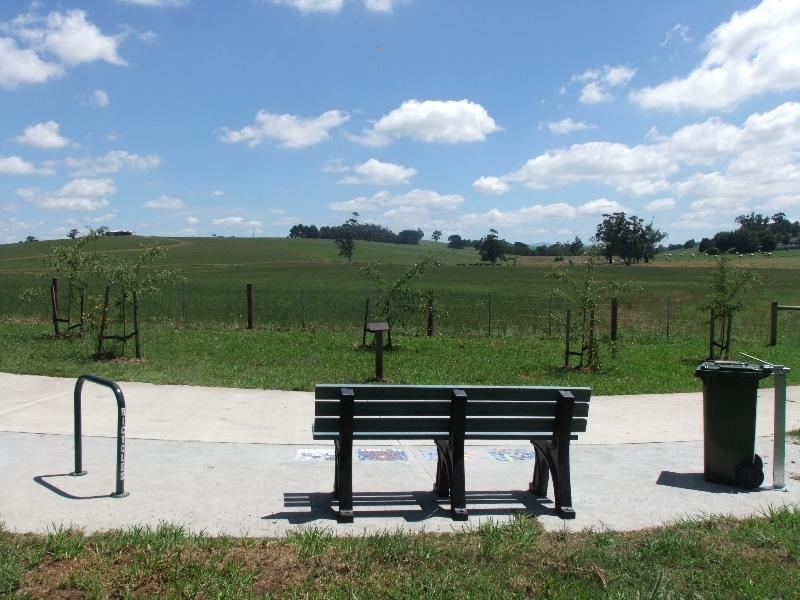 Drouin Civic Park is set in a small valley, with a pond, fountain, rotunda, playground and public toilets. The park also includes the 'Path of Achievement'. Directional signage is displayed along the trail to provide distances and orientation. 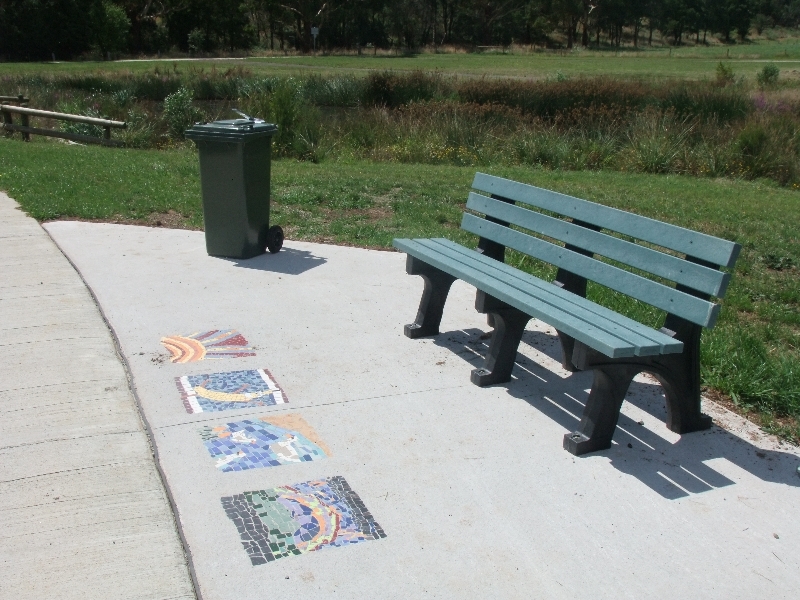 Pause places, like this one in the Drouin wetlands, includes recycled-plastic seating, rubbish bins and bike racks. Wetlands have been established through this part of the walk and the Drouin Landcare Group have planted hundreds of native trees to increase biodiversity and improve water quality and amenity. 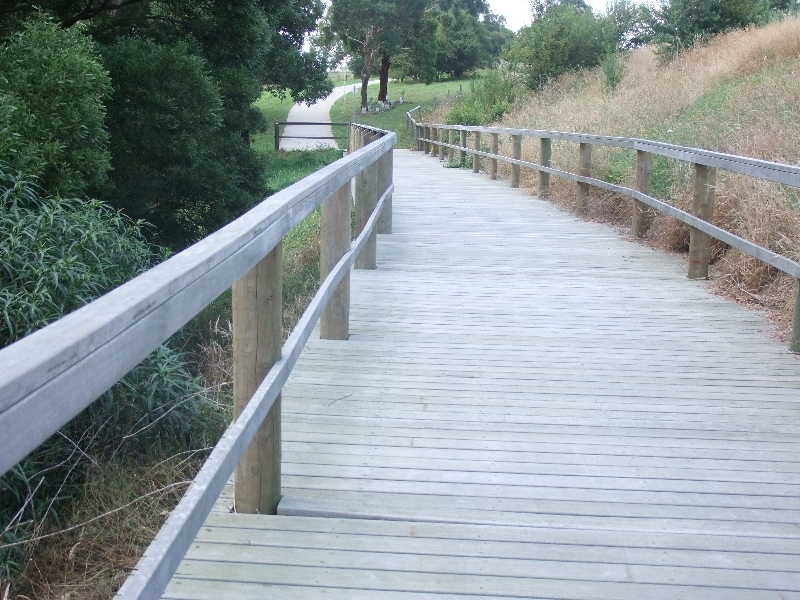 After crossing Buln Buln road you will come to an elevated boardwalk over a creek and views across green paddocks. 7. View, Mt Baw Baw, Mt Worth, Strezlecki Ranges. There are lovely views from a number of vantage points along the trail including vistas to Mt Baw Baw, Mt Worth and the Strezlecki Ranges. 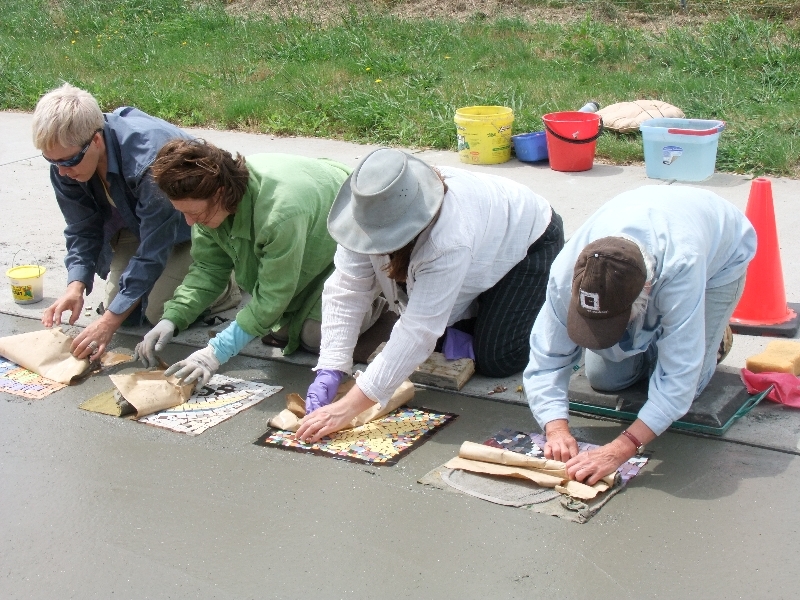 Local artists created mosaics which have been set into each of the pause places along the trail. 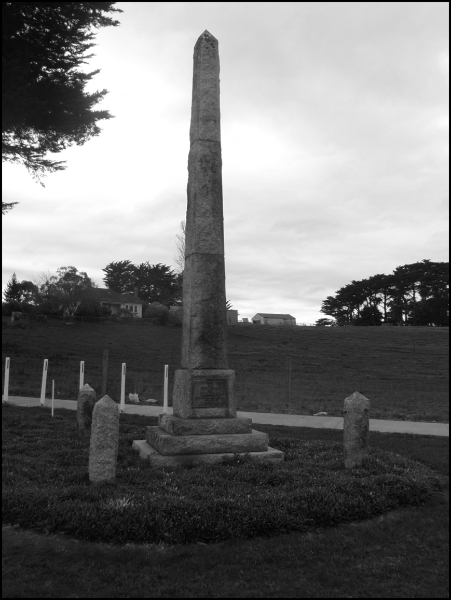 Here a memorial is located in recognition to William Calder, the first Chairman of Country Roads Board, for his outstanding contribution to Victorias road network. Another pause place to enjoy the views of the surrounding farms and mountain ranges. A number of interpretive signs explain the local Indigenous history, creation stories and artwork of the Gunaikurnai, one of the Aboriginal nations of Australia. 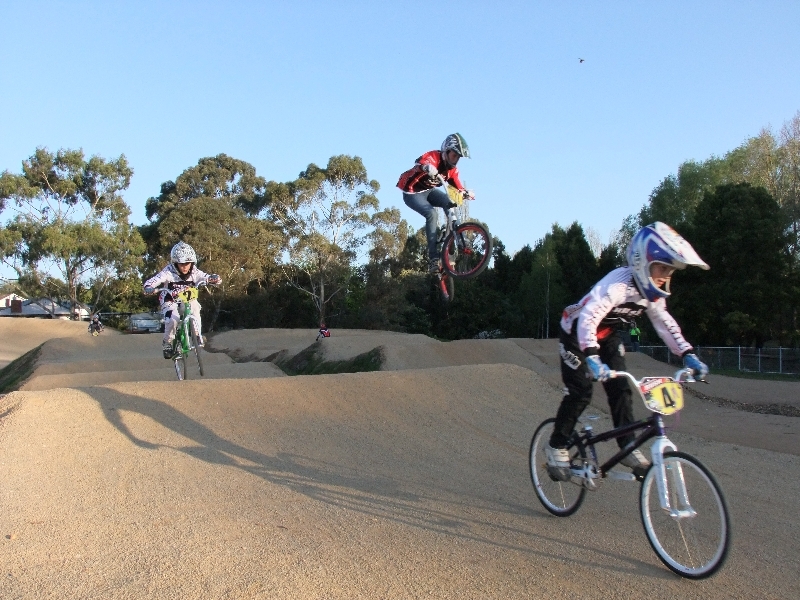 The trail winds past the Western Park BMX track where you can try out the track or watch the locals on the berms. Rotary Park is located on Latrobe Street in Warragul where you will finds a kids playground, outdoor gym equipment, public toilets, rotunda with picnic facilities, drinking fountain, and Hazel Creek. This walk is proudly brought to you by Baw Baw Shire Council.